Host your site anywhere, we’ll match your site look and feel. We can “bolt-on” to your web site, so you don’t need to change a thing…keep your look and feel and full domain. Vines OS hosts your club, cart and event pages, and set it up to match your exact look and feel. Mirroring your menus, fonts, colors and style sheets, your visitors get a fully-branded checkout, and never feel like they are leaving your site. You simply set up a subdomain, such as: shop.yourwineryname.com or club.yourwineryname.com. Through the entire checkout process, the visitor only sees your brand, and everything on the site looks the same in terms of look and feel and design. 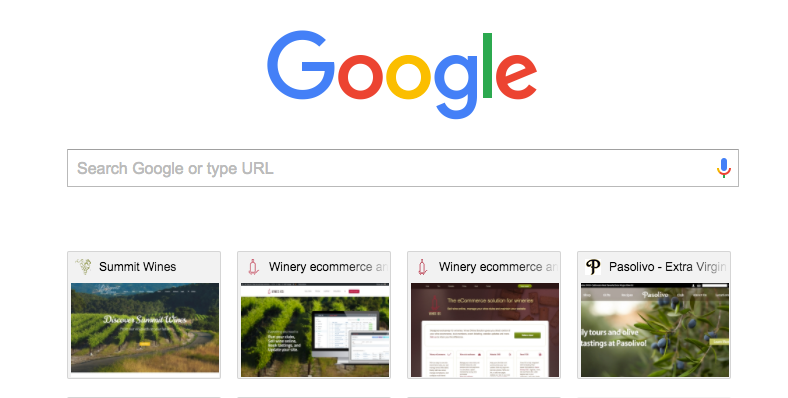 Get your site found in Google and convert visitors to buyers for more direct wine sales. Easily manage the meta tags and content search engines are looking for. Your wines will come up in the top results in Google, and most importantly, your customers will be able to make the purchase right from the page they land on after searching.